MANHATTAN, Ill. (WLS) -- A 22-year-old man was charged after he escaped a gun shop surrounded by police and led officers on a chase in southwest suburban Manhattan. 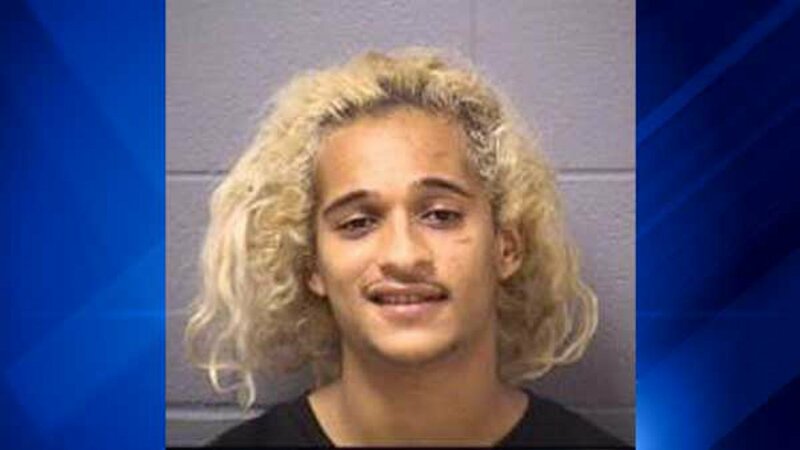 Ricardo Barrios, of Manhattan, was allegedly in the process of robbing Gibbs Gun Shop at 155 West North Street when Will County sheriff's officers responded to a burglary alarm at that location just before 6 a.m. Monday. Officers noticed a broken window and determined he was still inside the building. They set up a perimeter and ordered the suspect to surrender himself. Authorities said he refused and escaped through a different window on foot. Barrios was apprehended on Sharp Drive after a short chase, the sheriff's office said. Officers said he lied to them about who he was and had trouble breathing. He was taken to Silver Cross Hospital to get checked out. Authorities said the building houses three businesses, including the gun store. Investigators determined all three of them had been entered. Barrios was charged with burglary, possession of burglary tools and obstructing identification. He was taken to the Will County Adult Detention Center, where he is awaiting a bond hearing.